Identifying your personal life direction can help you understand what is important to you in any area of your life. Consider how the following can guide you to finding your life/career direction (these categories are not listed in order of importance). Click on each circle to learn more. When you know what you value, you know what is most important to you. Core values build the foundation of who you are as a person. Not living according to your values leads to a values conflict. This often brings feelings of frustration, low motivation, or interpersonal stress. Following a life/career path that is based in your core values will lead to greater satisfaction, fulfillment, and purpose in life. Interests can be like a small cup of water or like deep wells. Interests that are like a deep well consistently sustain you and energize you. Interests that are like the small cup of water barely allow you to move forward without needing to search for another source of water. Finding your “deep well” interests can help you in your search for an energizing and meaningful life/career direction. Personality is a word that is used frequently. At a basic level, personality is a person's way of making meaning of the world, responding to the world, and their natural way of being in the world. Understanding more about your innate personality can help you find your life/career direction. Abilities are those skills that come naturally to you. Some might explain them as personal "gifts" in life. Recognizing your natural abilities or "gifts" can help you understand what core work you can accomplish in your life and career. Focus2Career can help you start to understand more about your values, interests/energy, personality, and abilities via online assessments and career information. Please click here if you are interested in seeing how Focus2Career can help (access code: uwcareer). 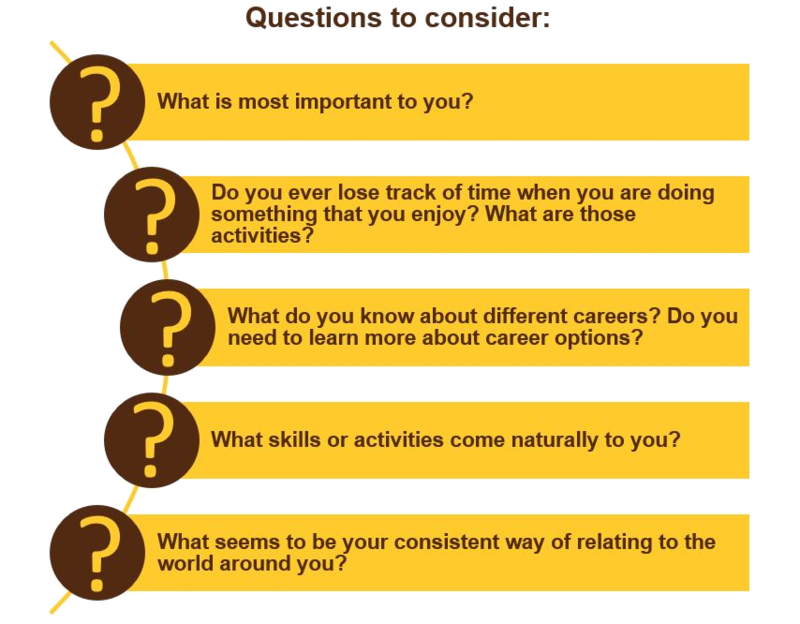 Career counseling is for those who wish to have a more in depth exploration of their values, interests/energy, personality, abilities, career information, and more. To schedule an appointment, go to the following link. To schedule an appointment to speak with a career counselor, click here.